Labor Day is considered the unofficial end of summer but it is also a great time to plan a trip to the beach. You can find a wide range of activities and entertainment including concerts, fishing tournaments, sporting events and family fun. Beat those back to school blues by giving the family something to look forward to. Here are few ways to make your Coastal Alabama Labor Day memorable. 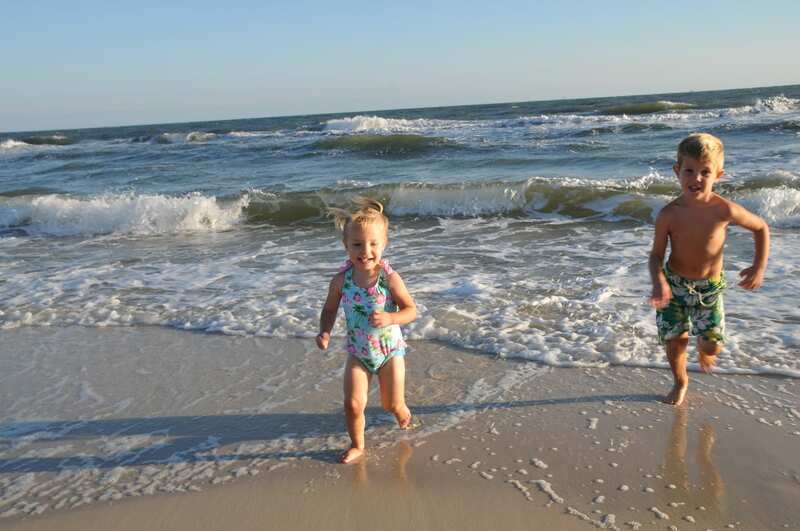 Gulf Shores and Orange Beach Tourism’s blog, The Beach Is Calling has suggestions on how to Celebrate Summer’s end with a Labor Day Beach Vacation. They even offer a gas calculator to help you figure the estimated cost of gas. Take advantage of great rates and accommodation specials at The Beach Club and Turquoise Place. 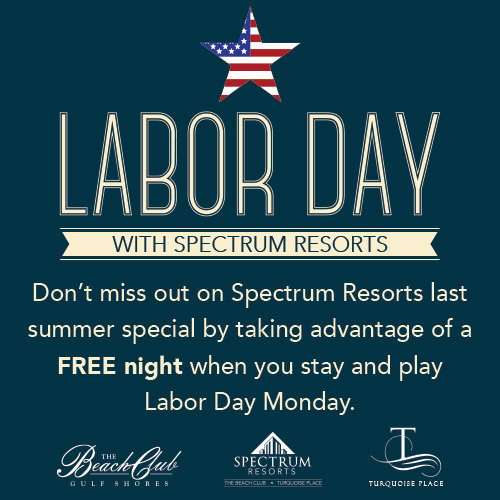 Stay and play Labor Day Monday for free when you book the weekend. Take advantage of the Spectrum Advantage and save on food and beverage purchases all weekend long. Make plans to visit The Wharf during this Labor Day weekend. The Wharf is hosting a Labor Day Street Party on September 5th from 5pm-9pm. Street activities include Kangaroos you can pet and feed, a bouncy house, face painting, a rock climbing wall and Spectra Sound and Light Show. The Waterway Village Art Market will be September 5th from 10am-4pm a Waterway Village in Gulf Shores is across from the Gulf Coast Arts Alliance Art Gallery. Regional and local artists will display paintings in oil, acrylic, pastel, watercolor and more. Enjoy handmade art, live music and children’s activities. We hope you have a safe and Happy Labor Day! Please share your pictures with us on Instagram, follow us on twitter and like us on Facebook so you can stay up to date on what is happening around town.